As the legal weed market matures, it’s quickly driving advances in cannabis technologies, especially in terms of developing easier, safer and smarter ways to ingest. One of the fastest growing segments in the cannabis industry is the seemingly humble vaporiser, which in turn is helping to create new markets for legalised weed. “Vaping” commonly refers to a method of cannabis consumption where the user inhales “vapor” or aerosol. To create this vapor, the active compounds in cannabis are heated at low temperatures. Unlike what happens when pot is smoked, no combustion or burning takes place at these lower temperatures. This quick-acting and relatively discreet way to medicate (or to just have a good time, if that’s your jam) is generally considered safer and healthier than smoking. Today’s vape market includes e-cigarettes, vape pens and advanced personal vaporisers (otherwise known as “mods”). Vape cartridges are filled with cannabis oil extracted from the plant. A report by BDS Analytics and Arcview Market Research projects that nearly 60% of extract (or concentrate) spending in 2018 will be for prefilled vaporisers. Spending on vape is expected to equal or perhaps surpass spending on flower by 2022. This kind of intense growth, in turn, means that a lot of money is being funnelled into ways to improve the vape delivery system. One company that’s targeting this growing market is medical diagnostic and monitoring technology developer, Lifespot Health (ASX:LSH). Approaching the vaping space from a medical perspective (at least, for now), Lifespot has developed a vaporiser embedded with certified software infrastructure. Something else that makes the vaporiser unique is its embedment in the medically certified software infrastructure of BodyTel GmbH — another Lifespot subsidiary. This infrastructure allows both patients and authorised physicians to retrieve and evaluate the readings and data collected by the vaporiser. The basics of how the technology works. This integrated system isn’t restricted to vaping – it can also input data from edibles and drinks, which opens the company up to a number of significant global pot opportunities. The method of inhalation used with the smart vaporiser, in turn, provides a number of clinical advantages. This system is especially well-suited to patient populations who are unable to swallow tablets, or for medications that are extensively metabolised prior to entry into the bloodstream. Lifespot has demonstrated the benefits of this vaping system to a number of major pot players across Canada, USA, Israel, Australia and New Zealand — markets that are considerably advanced in approvals for both medical and recreational weed. Lifespot is also well-positioned for the next wave of approvals pending in European countries. 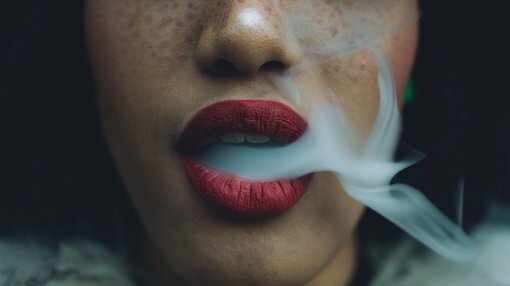 “We understand from our meetings that we are first to market a delivery device with these unique feature, and the major cannabis players see great value in our unique assets that are real enablers for them to register and commercialise their cannabis vaporising products,” Hannington said.